W. Asiatic Carnelian 800 B.C. W. Asiatic Carnelian 800 B.C. in modern copper wire & findings reconstruction. 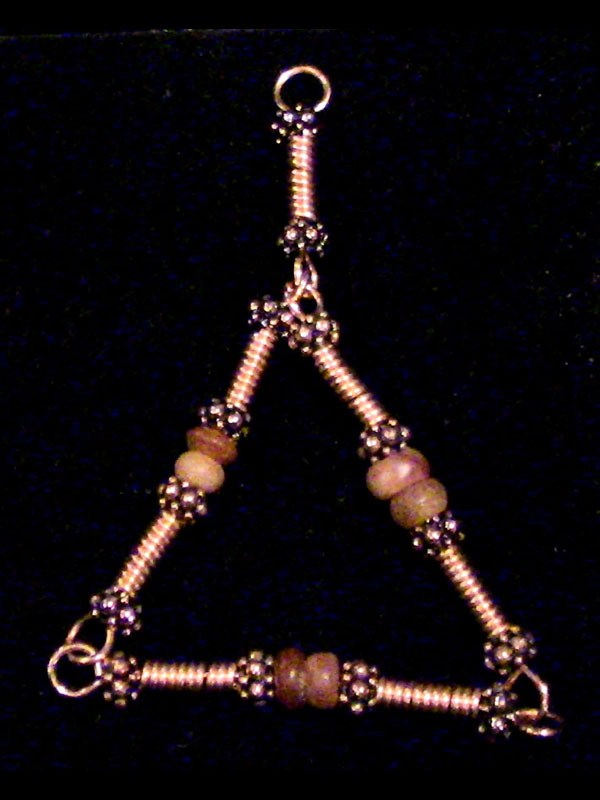 Double bead centers in this rich, luscious Western Asiatic Near-Eastern carnelian in a modern copper reconstruction setting make this a power-packed Triad and a fantastic “feeling” piece. Great “Introduction Instrument” should you run into any Off-Worlders.